in blender in order to load the uvs a need to do a weird procedure, in 3dsmax im looking for a solution to proper load them. 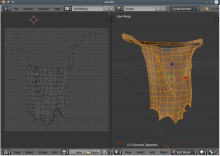 2-open other blender instance and import the alembic file. 6- select objects to check if any has uvs. .
Will check on it a bit later. @Kévin Dietrich (kevindietrich) this was introduced on rB753edafc . The problem seems to be at read time only, not on writing. Sybren A. Stüvel (sybren) added a commit: rB699a3e249811: Fix T50227: Alembic uv export/load issue. Thomas Volkmann (knekke) added a subscriber: Thomas Volkmann (knekke). With 2.79RC1 it works just fine on my machine (Ubuntu Linux). In step 7 you may need to undo twice to get the modifier back, though, but after step 3 the UVs are loaded and stay loaded. b1a036861ddd changed the way we read UVs, so this may be fixed too. Can you re-check? Works just fine here. 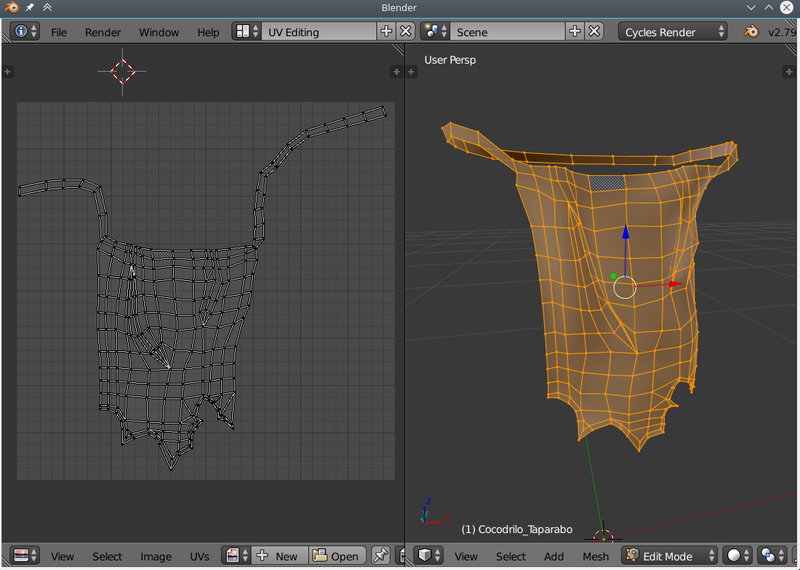 These are the UVs after exporting the mesh and importing into a new Blender file. I'm simply using Space → Export Alembic and Space → Import Alembic, nothing fancy. Which steps are you using that don't work? How do you define "not working"? @Philipp Oeser (lichtwerk) if the problem in this ticket is solved for the files used to demonstrate the problem, let's close this report. Loading UVs for files with changing topology is indeed something else; could you write a report for that and assign it to me?